Let's face it, there is no parthenogenesis in gaming. As with arts, it is certain that all video games borrow elements from other games and become the recipients of different influences. In some cases, however, the plagiarism is crystal clear. 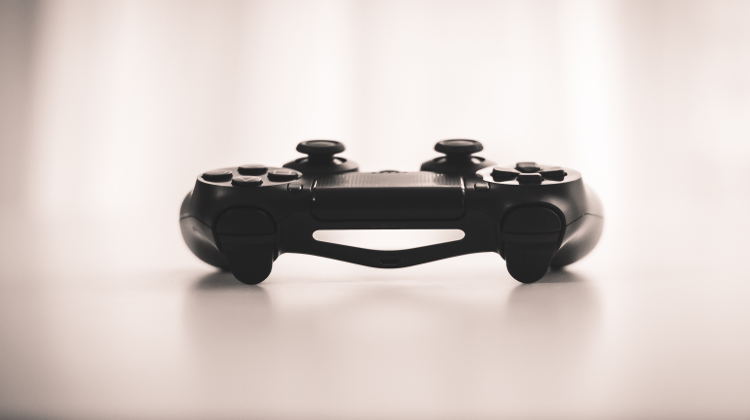 In the following list, we will see such video game clones, which turned out to be unexpectedly more successful than the original titles they copied from. What do you think of video game clones? One of the most successful games in the history of mobile gaming is nothing more than a clone. Angry Birds "stole" the idea and gameplay from Crush the Castle. Crush the Castle is a mobile game released in 2009. 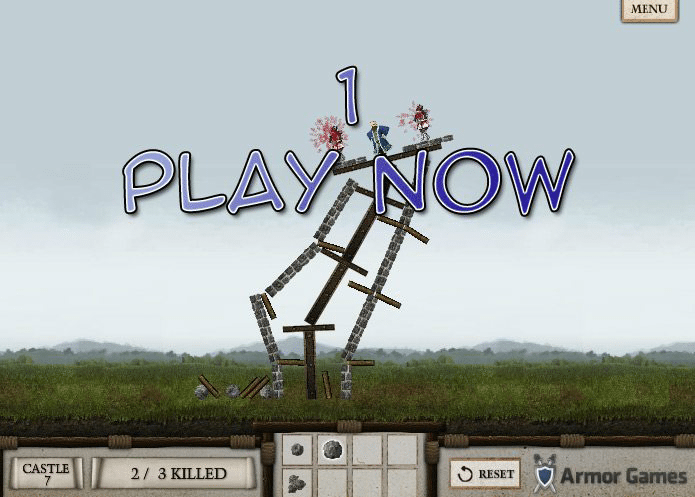 The aim of the game is to destroy several castles by using a catapult. Also, the game gave its players the chance to design their own castles. Around half a year later, Rovio Entertainment released the first edition of Angry Birds. 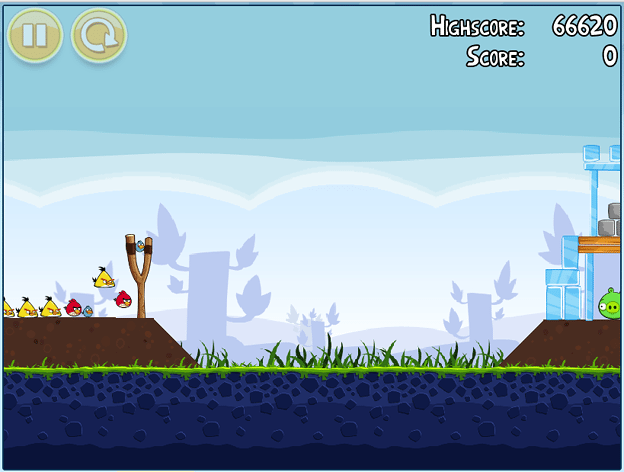 Even though the gameplay of the two games is exactly the same, Angry Birds attracted more users. More vivid colors, a ''fresh'' design and the somehow humorous character of Angry Birds were the main reasons why the game was so appealing to gamers. From 2009 until today, Angry Birds has been considered the most successful mobile application of all times. Besides, it has dozens of spin-offs, two films, and three billion downloads. Not bad for a clone. 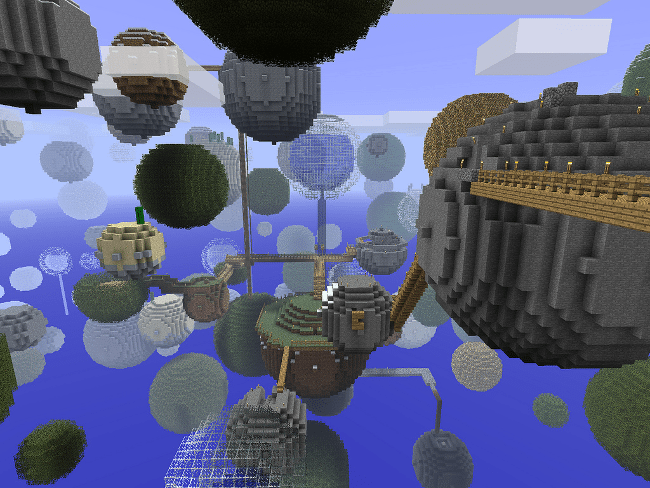 After the success of Minecraft, many studios tried to design similar games. However, Minecraft itself is on the list of video game clones. The popular sandbox title actually constitutes a clone of ''Infiniminer.'' Infiniminer was released in 2009 - two years prior to the distribution of Minecraft. 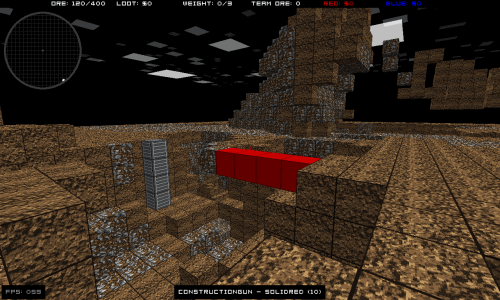 Infiniminer, like Minecraft, is a sandbox/building game. At first, it was designed to be a competitive team-based game, where the target was to find valuable metals. By returning those metals to their base, the players would earn points for their team. But eventually, the players were more interested in the building aspect of this game, which they found more entertaining. And that's how Minecraft came to life. The Infiniminer developing ceased within two months of its release. Some bugs within its code allowed "hackers" to perform illegal modifications to the game. Everybody knows Pac-Man, one of the most popular games of all times. Ms.Pac-Man is, in fact, a Pac-Man sequel which can be considered to be a video game clone, since the two games have very few differences to each other. 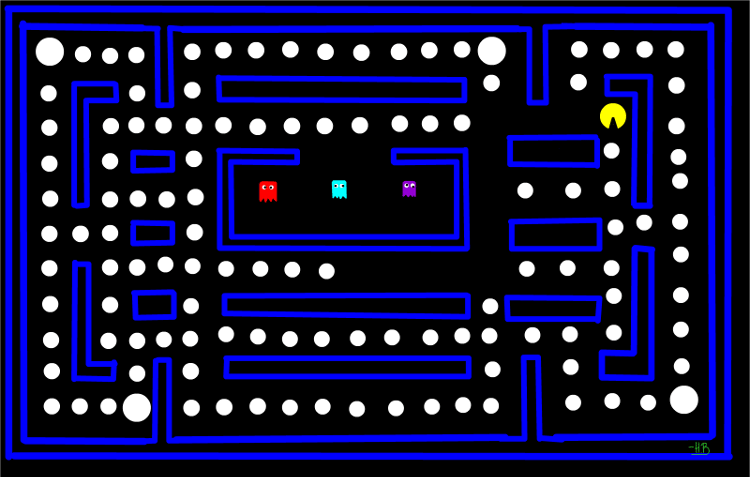 There were a few gameplay changes in Ms. Pac-Man, and, of course, our little yellow friend became female. The ghosts no longer followed a specific route, but their moves were random. Also, new levels were available. 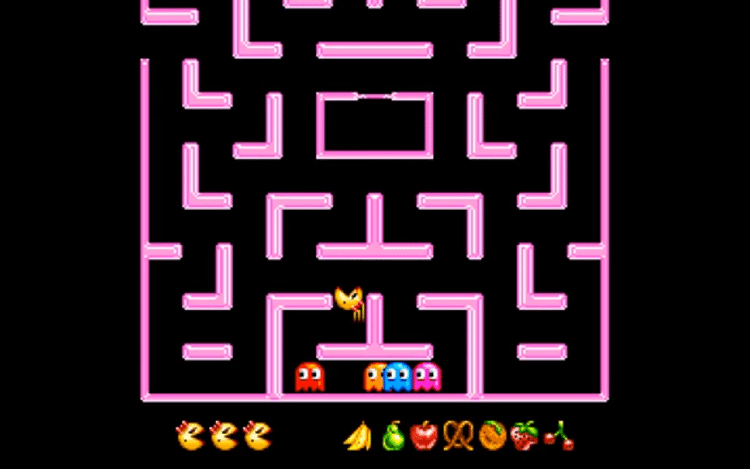 Generally, the changes to the design and gameplay of Ms. Pac-Man, although not significant, helped so that the game would become more appealing to the average player. In fact, it managed to sell 115,000 "cabinets" and be declared as the most successful arcade title of 1981. 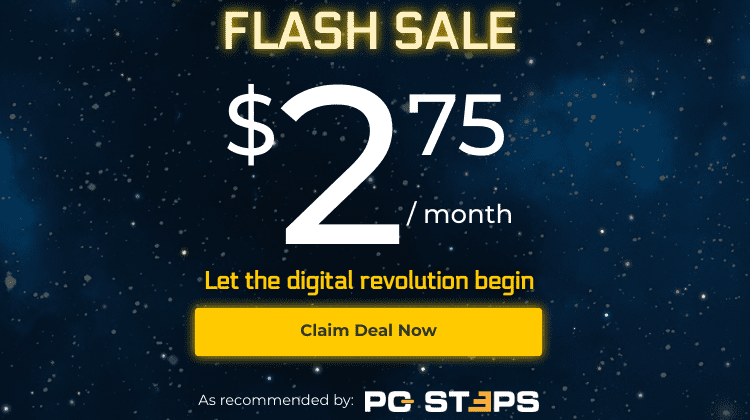 Zynga is well-known for two things: its very addictive browser games and its shameless video game clones. If we started talking about the games that Zynga has copied from, we would have enough content for several more articles. Dream Heights copied Tiny Tower, Mafia Wars copied Mob Wars, Cafe World copied Restaurant City, and many more. At the beginning of 2009, a relatively unknown company named Slashkey created Farm Town. Farm Town is a Facebook game in which we create and manage our own farm. As we level up, we can add more plants, animals, and upgrade our farm. Does it ring a bell? Farm Town became widespread by word of mouth and excited every player. And then came Zynga, literally creating the same game and naming it FarmVille. The two games have the exact same gameplay and only a few differences in general. Even though Farm Town was out first, Zynga's game counts a few more million users. Zynga was already well-known for previous Facebook games, so, it took advantage of its size and power and managed to win the ''battle'' of the farming simulators. 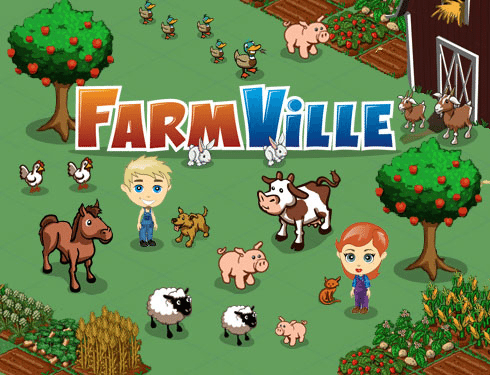 One way or another, FarmVille was established among Facebook users. 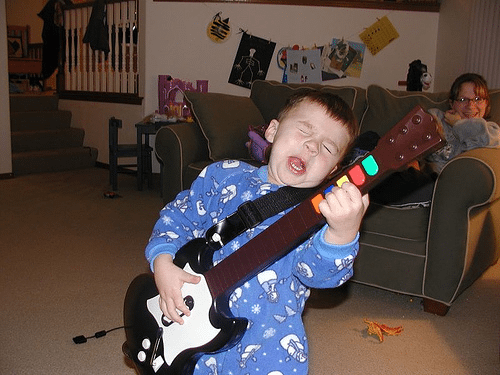 In 2005, Guitar Hero gave all gamers the opportunity to feel like rock stars. It did not require any talent or practice, just a single console and a plastic guitar. The idea was relatively simple and particularly clever. But why hadn't anyone thought of it earlier? Well, in fact, Konami had conceived the idea first and had materialized it six years prior to Guitar Hero's release. GuitarFreaks was released in 1999 and it is the game from which Guitar Hero "stole" the idea. The gameplay is identical, from controls to controllers. With the release of the PlayStation edition of GuitarFreaks in America, Konami assigned the construction of the game controllers to the company Red Octane. However, Red Octane decided to design their own music video game. They took the GuitarFreaks guitar, added two more buttons, changed the direction the keys move, and presented us with Guitar Hero. However, the attribute that made Guitar Hero so popular is the choice of songs. 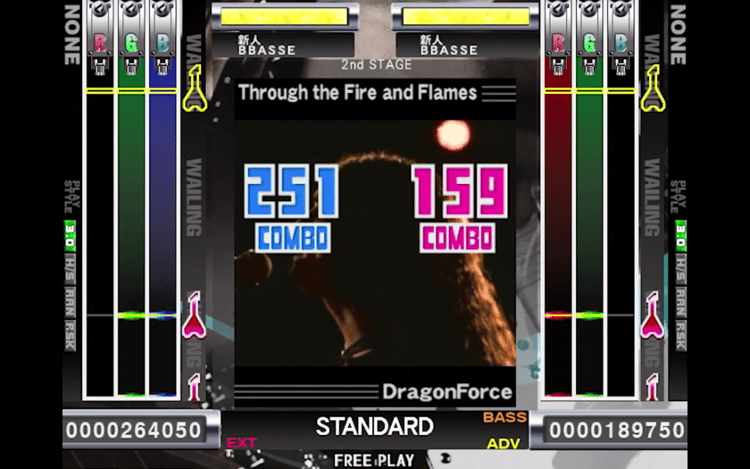 GuitarFreaks didn't manage to secure the copyrights of rock or metal songs. Therefore, it used unknown generic songs. On the contrary, Guitar Hero was more successful at that, adding songs such as Smoke on the Water and Ace of Spades on its collection. Killer Instinct counted on the success of Mortal Kombat and the hype around fighting games of that time. 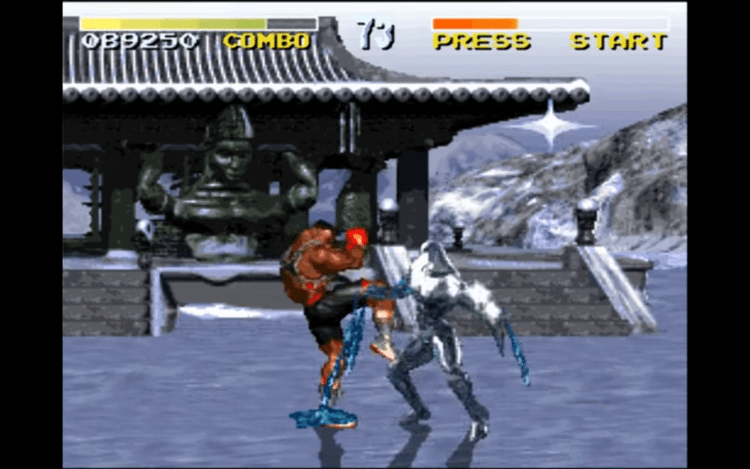 Fatalities were renamed to "no mercy moves", Scorpion and Sub-Zero became Cinder and Glacius, and even the music was almost the same. Killer Instinct, however, brought some of its own elements; automatic combos and ultra combos (which constitute a combination of up to 80 hits), combo breaker moves, etc. Also, the more competitive gameplay made all the difference from the then contemporary button smashing games. Anyone who has played both games can spot these obvious similarities at once. Of course, in this case, this is not necessarily something negative. Both games had success and their own fanbase. Killer Instinct comes first though, because of its superior gameplay and the constant efforts of its designers to make it a more balanced game. 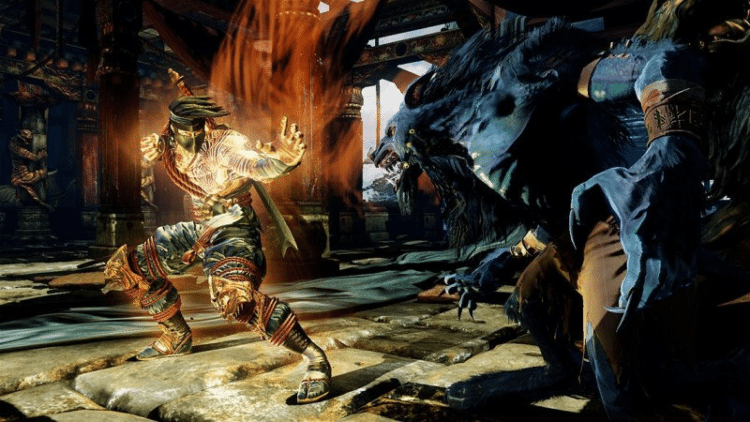 We will give some credit to Mortal Kombat because it is more fun for a single player, but Killer Instinct comes out on top on every other aspect. The creators of South Park, Matt and Trey, surely do not lack creativity and talent. 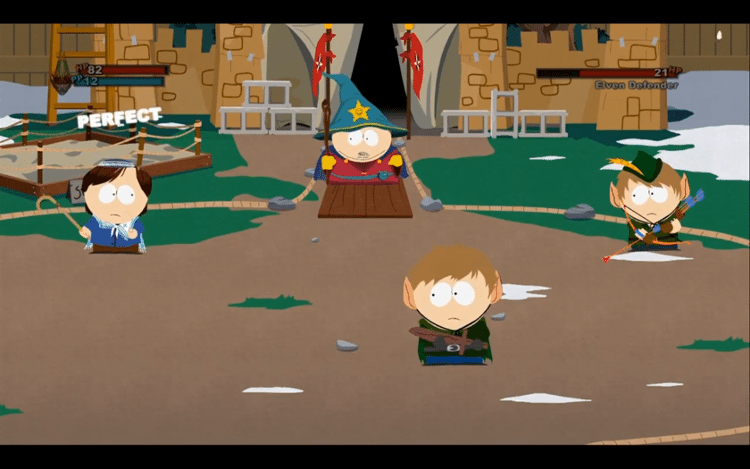 But even they had to resort to copying when they were designing The Stick of Truth. 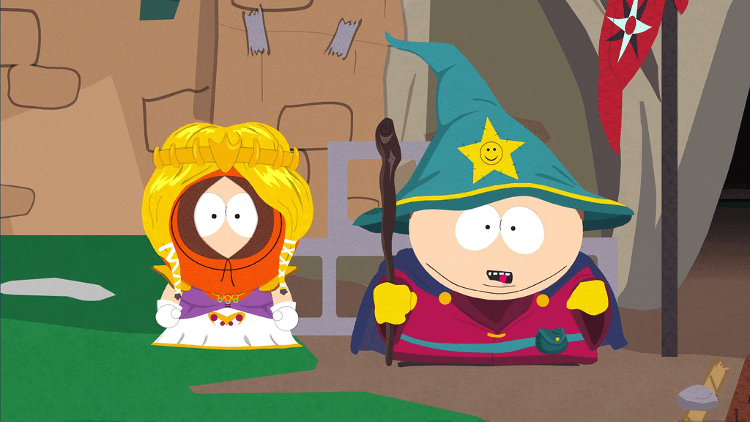 The Stick of Truth, as well as Fractured but Whole, had borrowed the main idea and gameplay from the well-known Paper Mario. Turn-based battles, puzzles, and mini-quests are common features in both games. Full of endless references and with the well-known South Park sense of humor, The Stick of Truth prevails upon Paper Mario, even with it being inferior in some respects. However, The Stick of Truth is one of the most fun games ever released. Yes, if it wasn't South Park-themed, it would have possibly been uninteresting. However, it is one of the few games that will make you laugh out loud, especially if you like South Park even a little bit. Do you agree with us, or do you happen to have any objections? Do you believe that there are more video game clones out there which have done better than the original game title? Let us know what you think in the comments below.